LanyardsOnly specialises in great promotional items for displaying identification cards at conferences or security documentation at work. 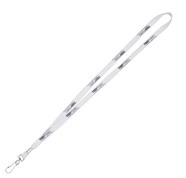 Our custom lanyards, with your logo or message, present themselves to people every day. What better way to promote your company. We produce quality promotional products with one of the largest collections of lanyards available in New Zealand. Our LanyardsOnly website carries a huge assortment of items including silicone and tyvek wristbands, woven & eco lanyards, retractable badge reels and plastic name tag holders; all quality products with on time delivery. Average production is only two weeks for our standard printed lanyards (no express surcharges like some other companies) and we guarantee our work! 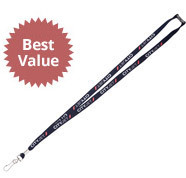 If your business is unable to decide what product to brand for this year’s promotional campaign, then how about choosing one of our popular lanyards above. Lanyards Only has been in the business of supplying cheap lanyards to the NZ marketplace for over 10 years, and during those years, we have delivered millions of lanyards to governments, Auckland conferences, trade shows, schools, businesses, hotels, sport clubs, and charity groups. We guarantee our prices and our promotional products. Marketing products with competitive branded pricing and with thousands of items to select from makes our parent company, PromotionsOnly®, a market Australian leader in online printed promotional merchandise.